Do you ever wonder what keeps environmentalists and humanitarians going? 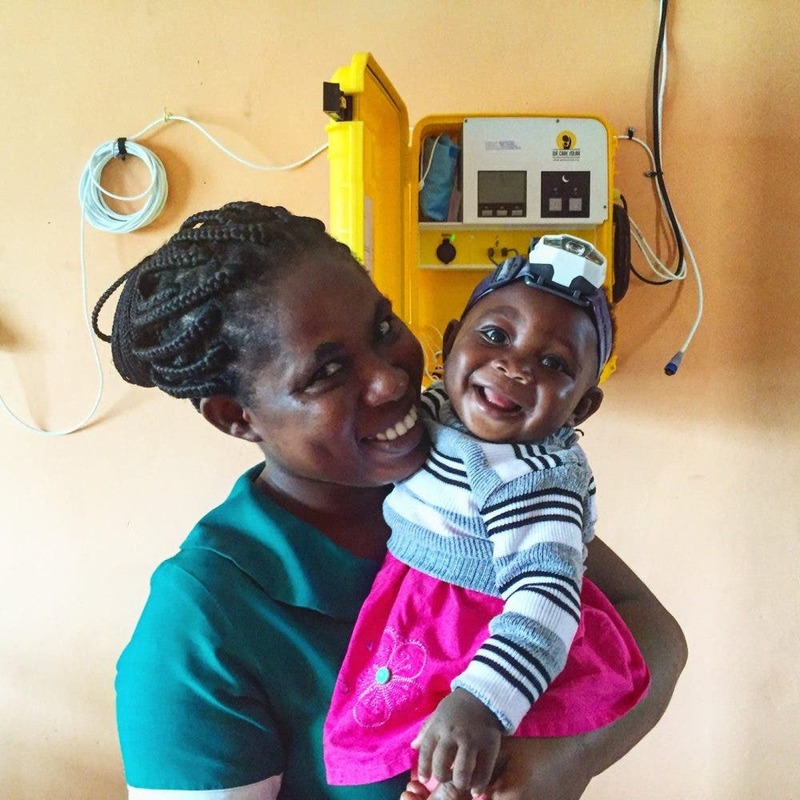 It is stories like the story of Laura Stachel & We Care Solar, and organization that provides light to medical facilities without electricity. 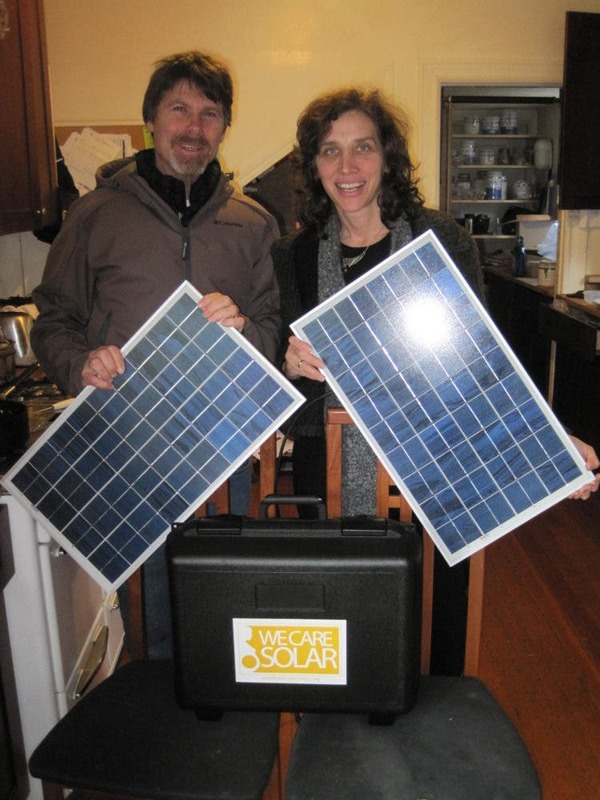 Zachary Shahan, Director & Chief Editor of CleanTechnica, earlier this year had the opportunity to interview Laura E. Stachel, M.D., M.P.H., who together with her husband Hal Aronson, Ph.D., co-founded We Care Solar to improve maternal health outcomes in regions without reliable electricity. We Care Solar had nearly won a Zayed Future Energy Prize award and Solar Sister Founder Katherine Lucey, BNEF Founder Michael Liebreich, and Zachary were enjoying dinner and CleanTechnica interviews after the awards ceremony. Zach asks, “What gave you the inspiration, first of all, to do this?” He also asks for a brief intro into what We Care Solar does. Laura starts by explaining, “We Care Solar is bringing small, compact, very rugged solar electric systems to maternal health facilities in the developing world. I am an obstetrician-gynecologist. I got very concerned several years ago when I realized that women were dying in childbirth around the world at extremely high rates. Half a million women were dying every year from complications of pregnancy and childbirth. That is the same as two 747s filled with pregnant women crashing to the ground every single day. As a graduate student in public health, Laura went to northern Nigeria to learn more about the causes of maternal mortality in 2008. 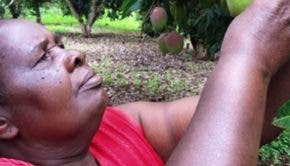 “I was sent to study maternal mortality in Nigeria. Nigeria accounts for 2% of the world population, but 11% of maternal deaths were coming from that country alone when I first went in 2008. “I spent time just observing care in a large national, a state hospital. And, every day, I would spend 10 to 12 hours watching nurses and doctors as they cared for patients. I had realized that they weren’t going to have all the equipment and all the technology that we had in our American hospitals, but what hadn’t occurred to me before I went there was that they wouldn’t have electricity — for at least 12 hours of every day. Childbirth can appear to be healthy, but in seconds, a life-threatening crisis to the mother and child may arise. Interventions to keep the mother and child alive become necessary, immediately. One cannot delay responding to the need for skilled support and risk losing a mother or infant. Without lights for the birth and electricity for the birth attendants, the surgeon, physician, or midwife nighttime can become deadly. Laura continues, “If you are a baby being born and you need to be resuscitated, there is no equipment relying on electricity that can be used. Or there if you need to use diagnostic equipment, it can’t be used. And I was in this hospital with nurses and doctors that were actually quite skilled. But they were crippled because that could not use a lot of their skills when the electricity was down. “I happened to be married to someone who’s a solar educator, and I began writing letters home to him, my husband Hal Aronson, explaining different scenes that I was seeing in the hospital and how upsetting it was. And he suggested that when I came back home from Nigeria, he could design a solar electric system that would help the hospital. “So, I came back to the states. At that time, I was a public health student at UC Berkeley. I actually entered a competition that was supporting technology for a social good. We designed the solar electric system targeting the parts of the hospital most likely to be affecting pregnancy outcomes: the maternity ward, the laboratory, the labor and delivery room, and also the operating theater. “And we didn’t win the prize that we wanted to from that competition. We came in as an honorable mention, but someone who was one of the judges at the competition called me that night and said, ‘I think you should have won. How much money do you need for your project?’ And within three weeks he had gotten us money from the Blum Center for Developing Economies at UC Berkeley. And we were able to do this project. Blood loss is rapid, and life-threatening in some deliveries. Immediate control of bleeding and blood transfusions can be critical for survival. Laura continues that after that, “with solar electricity, surgeries could be conducted day or night. And over the next year, the maternal deaths at the hospital went down by 70%. And they were no longer turning away women at night. “And this was when?” Zach inquires. Laura explains that they got moving making the first suitcases in their community backyard with an assembly line of neighbors’ and other friends’ help. She continues, “That was about 2010. We had been doing a few of these by hand. We used to make these in our backyard with sort of an assembly line of neighbors and friends that help us put these together, these solar electric kits. Zach remarks that he was surprised to find out that they created their own lights. Zach points out that they also made sure they weren’t so breakable, they were sturdy, leading Laura to confirm that as true. And that led to filling another need for such reliable, rugged solar electricity — people began to ask for solar suitcases after natural disasters. 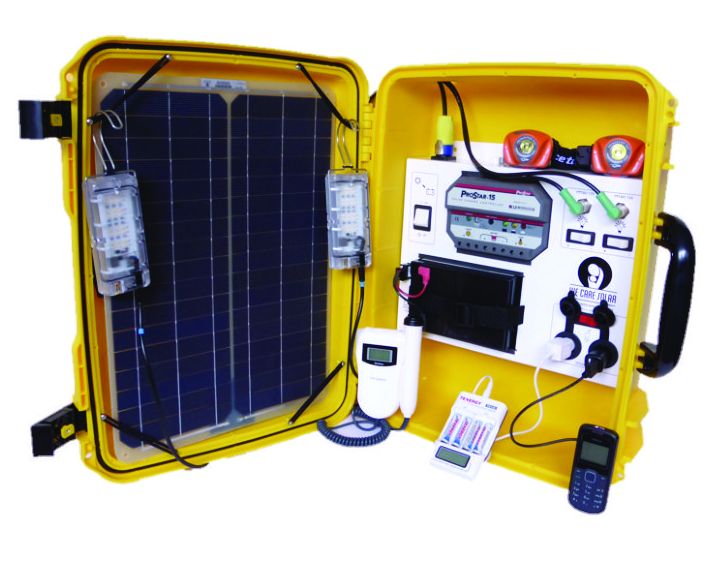 The amount of design put it into that rugged, durable quality led to more success stories of solar suitcases after natural disasters, such as ones Nepal, the Philippines, Haiti, and Puerto Rico suffered — only to mention a few, but there were more and other natural disasters, such as earthquakes, typhoons, etc. Zach continues his interview with an appreciation of how the company has focused so effectively on technology. At this time, he acknowledges that We Care Solar is producing 1,000 Solar Suitcases a year and asks about exponential growth moving forward. “We would love to exponentially increase scale but one of the things that we’re doing is we are not just dropping off technology. We are actually training people, training people to use things well, training people to install them well, training people to maintain them. And we’re doing this in some of the most difficult places of the world to reach. So, for example, we might be doing a program where the roads got washed out during the rainy season. And so we can’t do anything for several months while we wait for them to be repaired. And so it has really limited the extent to which we can just start dispersing these. “One of the things we did initially was we were fairly opportunistic and if someone wanted 10 solar suitcases in one country and 20 in another, we would try and respond to that. “Now we are trying to do deeper penetration in fewer countries. It is a better way to create supply chains. it is a better way to have a workforce that can help with both installation and maintenance. Zach asked Laura to revisit her initial inspiration. She said as that graduate student at UC Berkeley, when she was invited to Nigeria to work on a project to study hospital emergency obstetric care, she experienced the power outages and witnessed health workers using candles and the kerosene lamps as the electricity was out — but there was one particular experience, one image she could not shake. It was observing a woman in a coma from pre-eclampsia on a table with no one able to help. By some miracle, the woman actually survived. Laura acknowledges that experience changed her life forever. Laura may have felt helpless that night, but it seems she is a doer as well as a healer. Laura has collected stories from midwives, from around the world. Among her birth stories are stories of how a mother’s birth experiences and life changed — stories of birth before and after the addition of the solar lights. Another story shines a light on the broader need of all health issues in crises — and the impact of the solar suitcases and solar lights. Laura trained a doctor on Skype from We Care Solar in California (to use the solar suitcase). Dr. Jacques Sebisaho was flying from New York City to his clinic in DR Congo, after being trained on its use by Skype. He was to call her for more instruction as soon as he returned to his home. She never got the call from him that she expected a few days later. She felt the suitcase may have been confiscated. Weeks went by. Now they have light for the clinic at night, not darkness. Before, in a cholera epidemic, he lost half of the community. But with the Solar Suitcases in the latest epidemic, he lost no one. I had to write this again. As of September 2018, We Care Solar has deployed 3,400 Solar Suitcases in health centers in Africa and Asia, lighting up deliveries for more than 1.7 million mothers and their newborns.